Goal Driven Results For Your Business. Your website is a window to your business. It shows how you can help and solve your visitor's needs. It makes a statement about who you are and what you do. It tells a story and offers potential clients the chance to do business with you. Having goals and direction for your website is crucial for successful results for you and your visitors. To be effective, your website must also be SEO friendly, visually engaging, simple to navigate, informative, and easy to understand. 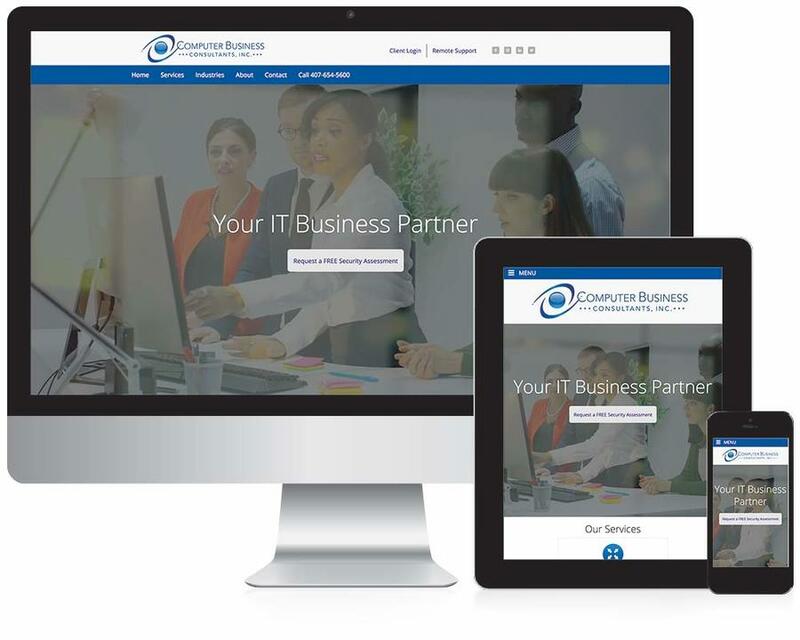 Computer Business Consultants has been the IT company leader for computer IT services, computer networking solutions, internet security, and device management. They needed a brand-aware site to showcase their services with the ability to capture leads by offering a free security assessment.